British Columbians are fortunate to live in a part of the world that is so deeply steeped in natural beauty around every tree, under ever rock and in every ocean current. This could not be more true, however, than for the residents of Vancouver Island. The abundance of wildlife that call the Island and its surrounding waters home is astounding. 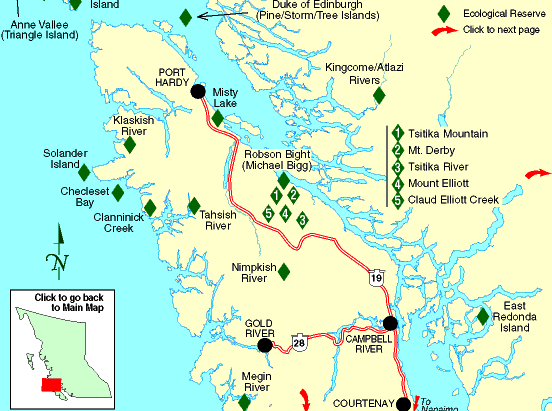 Etched into the eastern shores of northern Vancouver Island is the Robson Bight (Michael Bigg) Ecological Reserve. Named after a man famously known for identifying and photographing the countless pods of killer whales that call the area home, Robson Bight has been a Provincially-sanctioned reserve to protect the local killer whale population since 1982. The name Robson comes from Lieutenant Commander Charles Rufus Robson who died in Victoria, BC in 1861. Stretching over 1200 hectares of shoreline, all boats are forbidden from entering the reserve and the park area around it is restricted to non-destructive recreational activities such as hiking and photography. Fishing, camping and hiking are strictly forbidden. These regulations are key in creating a safe refuge for these gentle giants. While it is unclear exactly how many killer whales and their pods travel up and down British Columbia’s shores, what is known is how drastically they’re being affected by the fishing industry, toxic waste, boating and sonar interference (as whales rely on this method of communication with each other). 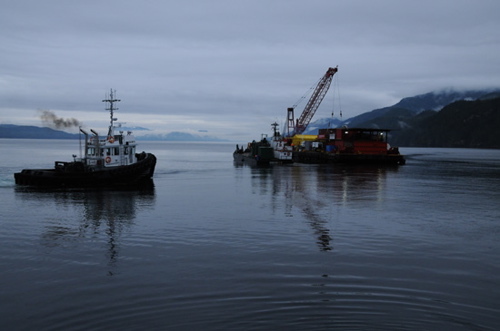 Robson Bight Ecological Reserve is perhaps best known in recent media as being the site of a tragic and preventable man-made disaster on August 20, 2007 when a barge illegally traveling through the sound lost its load, dumping 11 vehicles and pieces of forestry equipment into the water. The vehicles – and over 10,000 litres of diesel fuel – laid 350 metres below the surface for almost two years until it was recovered in May of this year. Thankfully, the damage to the whales’ sanctuary was minimal. Crown prosecutors laid charges against Chemainus-based logging contractor Ted LeRoy Trucking, Campbell River’s Gowlland Towing and the skipper of the tugboat Kathy L in July, 2008. While recreation in the area is extremely limited, the nearby community of Telegraph Cove is a hot spot for eco-tourism and nature-spotting with a focus on sea kayaking. 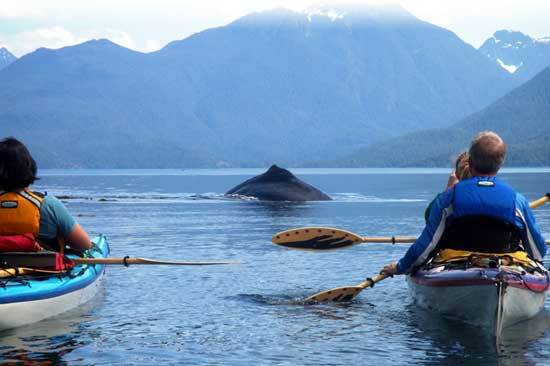 Though it’s my personal belief that the killer whales should be left alone to bask in their natural environment free of interference, many of these sea kayaking ventures are careful to respect the area and give the killer whales a wide, safe berth. 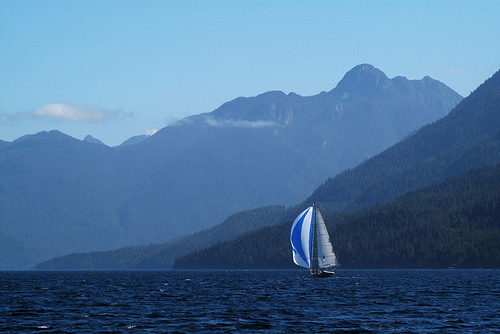 Keep in mind that even ecotourism is prohibited in Robson Bight, so all whale watching is done from a safe distance outside of the designated area. Anyone lucky enough to have explored this area knows how precious the landscape is. Nothing lasts forever, and if we don’t take active steps to protect the land we call home, perhaps even this generation will see the day when what was will no longer be. The trees, the ocean, the air, the rocks and even the whales are gifts to us all and we must always be sure to view them as such – not to be taken for granted. 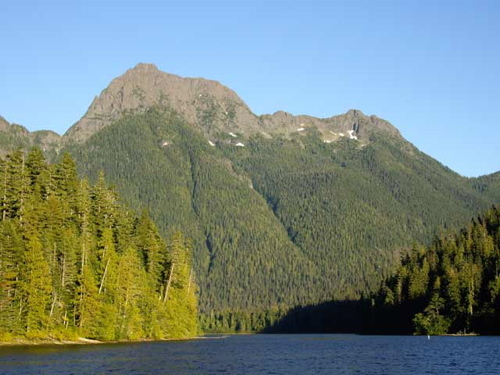 To learn more about Robson Bight (Michael Bigg) Ecological Reserve, please visit BC Parks’ website. 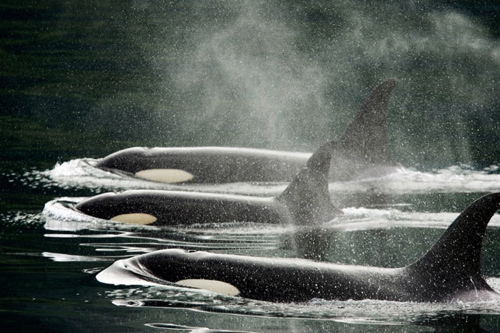 A guideline for viewing or encountering killer whales in the wild can be viewed here in PDF format. If you’re interested in adopting a killer whale and contributing to the conservation of the local population, please visit the British Columbia Wild Killer Whale Adoption Program. These majestic creatures are a joy to watch if one is lucky to spot a pod. I am glad that I have seen so many over the years that I don’t need to go on a whale watching tour. Uhhh… we’re SO GOING!!! Nice one. i am so mad i went to victoria and didn’t even see one orca. they are my absolute favourite. I love you Kate! It’s kind of a pet peeve of mine when people call them killer whales. The whales were named Orca by the Romans, whereas killer whale is a term coined more recently by the English speaking community. In Europe they are mostly referred to as Orca. There has been a push since the 1960’s to make popular the name Orca in English speaking communities, as “killer” has negative connotations! 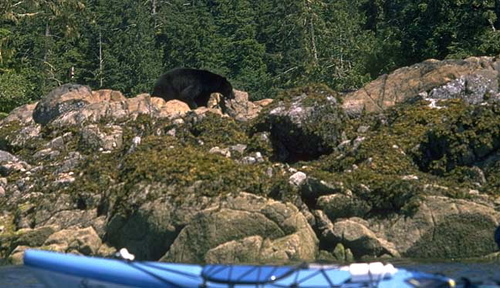 We don’t say killer black bears, or killer great whites…. or (as I eat meat) killer humans, so why punish these beautiful creatures with such an awful name! (I’m not picking on you Keira-anne, I’m sorry if I offend you :D) I love the photos. 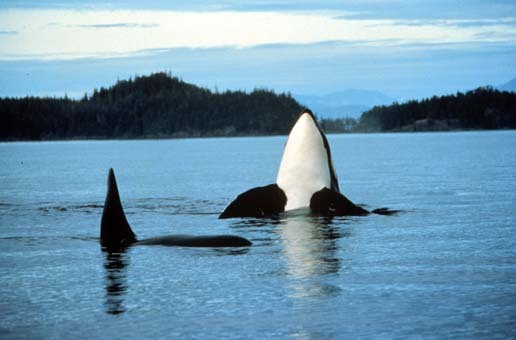 I also did not see any whales when my family and I journeyed to BC in the summer of 1995. I hope to get back there someday, and spend a longer time whale watching, and maybe even some of that kayaking with the whales in the photo up there!!! Thanks for the post!